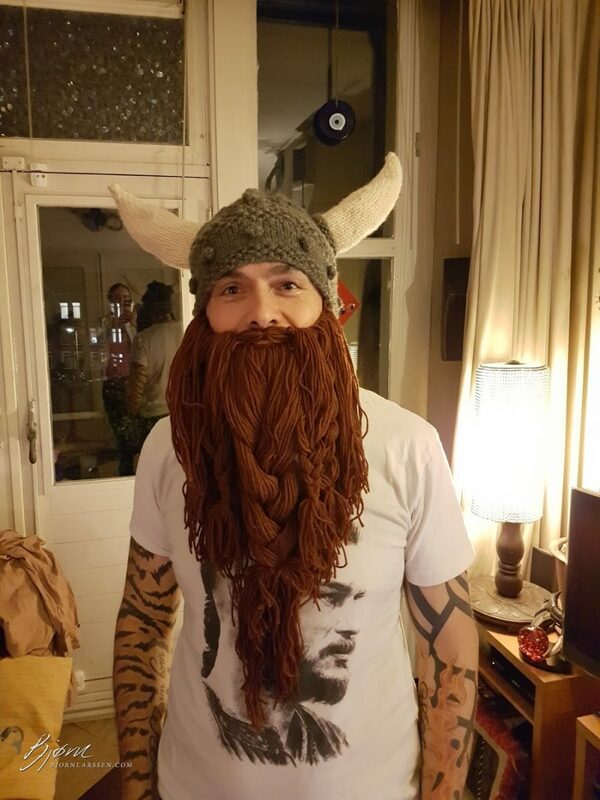 The last time I was asked “do you have Viking blood?” was four days ago. I can’t remember what exactly my answer was, but I did write the question down to use for a blog post later. The Vikings series on TV shares a certain characteristic with novels, books such as The World of Vikings, etc. Namely, the TV focuses on epic battles (and half-naked men and women, and amazing hairstyles, but I digress), longboats, settlements that never lasted too long. There are few craftsmen, farmers, animal herders who are mentioned other than in passing or when a blacksmith needs to make more axes faster. Surprisingly, this is a correct representation. The exact date when the Viking Age began is known to the day: on June 8th, 793 the raiders invaded the monastery in Lindisfarne. They didn’t call themselves “Vikings”, same as they didn’t refer to their language as “Old Norse”. At the beginning they would raid, take what they could, then return home. Soon enough they discovered that they didn’t just have to take gold – there was land to be settled as well, in warmer climate, with more fertile soil. The raids started to turn into explorations. This would eventually lead to the discovery of America by Leifur Eiríksson – curiously enough it happened when he was on his way to bring Christianity to Greenland and got lost. 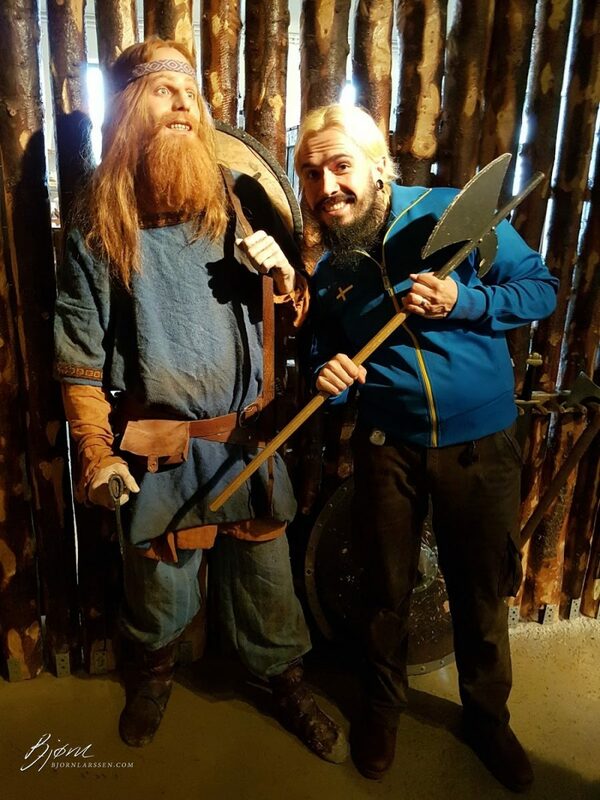 If we remember that actual Vikings were only those who went viking, we’ll realise that once the raids turned into explorations and settlements they spread their DNA all over the territories invaded. A hypothetical child coming from a long, long line of craftsmen who have never left Norway or had relations with someone who had, would be 100% Norwegian and 0% Viking. The best chances of having a trace of Viking blood – remember that quite a few generations have passed since the year 1066 – come from having been born in the UK, ideally with ancestors who didn’t travel much once they killed the monks. A map of Viking conquests will show us the territories near the coasts (duh) – England, Scotland, Ireland, Wales, Faroe Islands, France, Spain, Iceland, Eastern Europe, quite a large chunk of Russia, Italy, plus – thanks to Leifur – Newfoundland. The settlements themselves were mostly placed in Northern Scotland, England, Russia, Iceland, Greenland, and France. The remaining territories were mostly explored/raided, but not settled. Bear in mind, however, that Vikings did spread their seed a lot. The fact that, say, Germany didn’t have a Viking settlement doesn’t indicate that there are no descendants of Vikings living there. Also, once you know that Scotland has been one of Vikings’ favourite places to invade, you will understand why Up Helly Aa takes place there of all places. I just looked at my genetic ancestry results and discovered they changed. This isn’t completely unexpected, as the growth of the database means more accurate results. I am, however, a bit baffled about the scale of the change, as I am now apparently 87.5% Eastern European up from 75% when I last checked (um, half a year ago?) My Scandinavian ancestry component – 0.5% if I remember correctly – is now completely gone. I’m still 7% Ashkenazi Jewish, but somehow my 15% Balkan DNA disappeared. I’m also 0.2% Native American, and, sadly, 0.0% British in any sense of the word. The main thing this proves is that the DNA tests aren’t exactly reliable when it comes to heritage. I’m 0.2% Native American – apparently. Nobody in the previous four generations of my family – I haven’t bothered with the complete family tree, I’ve got books to write – ever went anywhere outside Europe. 0.2% means only five-six generations assuming that grand-grand-…-grandparent was entirely Native American, and less if he/she was half or quarter-Native American. I never met my biological father, but I happen to have seen a picture of him, and he definitely had non-white ancestors. This is where my knowledge ends, and as the “update” of my DNA ancestry on 23andme shows, I am unlikely to find out who, where, and when shared this 0.2% with me. Had one of my parents been British or Irish, my chances would have increased greatly. As things are, I rely on my Eastern European heritage for my non-existent Viking heritage claims. Did you just say “non-existent Viking heritage claims”? As for those last words, I’d like to add that the Gods created nine worlds. They didn’t create nine Scandinavian countries. Saying that a black woman living in Japan can’t be descended from the Gods is actually offensive towards the Gods themselves. Trust me, they created multiple worlds, they can board a plane (see American Gods for proof!) and go wherever they want. This is why the answer to the title question is either “probably” or “yes”. As long as you remember that once the sons of Ragnar, including obviously my grand-grand-…-grandfather Björn Ironside settled somewhere, they were no longer Vikings. They were Norse immigrants who used to go viking back in the day. I have once accidentally taken part in a lively discussion regarding runic tattoos. The question was whether a girl coming from a country I can’t remember has “the right” to tattoo runes on her skin. I mentioned that I’ve got runic tattoos and somewhat sarcastically asked whether I should have them removed, but the 13-year-old moderators approved of my ink based on my Eastern European heritage. I can’t remember what the consensus on the girl’s further inked fate was, but my personal take is that it needs to be remembered that runes were not only used for magical purposes, they were an alphabet. It’s like arguing whether a non-Norwegian has the right to tattoo the letter Ø on their arm. The worst that can happen is that the girl will end up with a small charcoal grill on her arm. The way I see it is that the tattoo means what the person carrying it believes it means. If you get a tattoo (like a friend of mine recently) of a rune based on what you’ve read about its meaning, good for you. If you get it because it looks cool, good for you. If you get it because it’s a protective spell given to you personally by the Gods, good for you (hopefully – their gifts always come with a price tag). If you want to know how to say “small charcoal grill” in Old Norse and write it correctly using the right alphabet for the period, you need to ask someone who has more expertise than me.